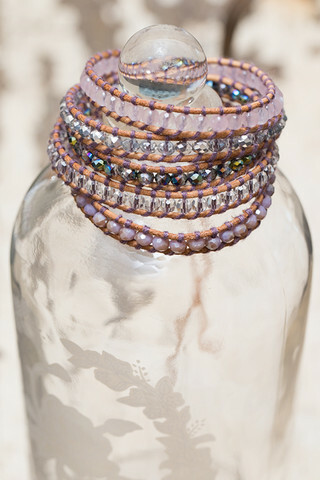 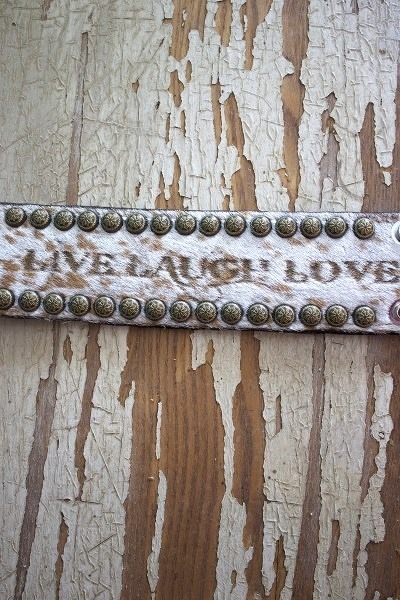 You'll be sure to smile while wearing the Live, Laugh, Love Cuff. 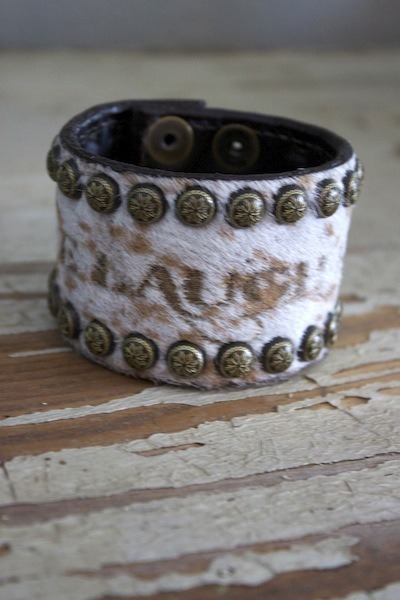 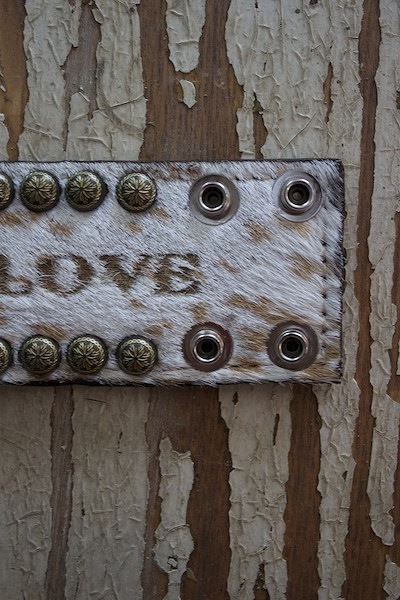 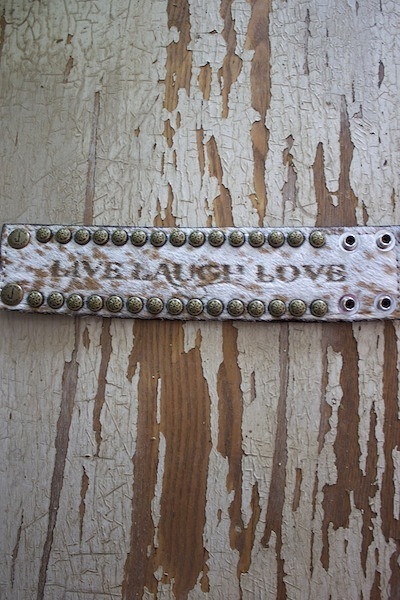 It has a cream and tan cowhide that provides the perfect background for the saying "Live, Laugh, Love" that is etched into it. 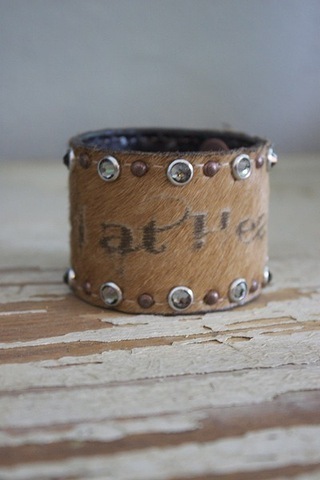 It is made by Double J Saddlery. 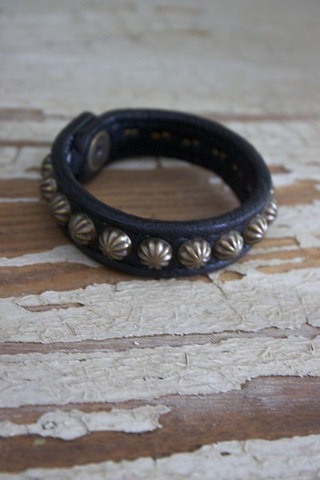 Adjustable snap closure so that you can find your perfect fit.